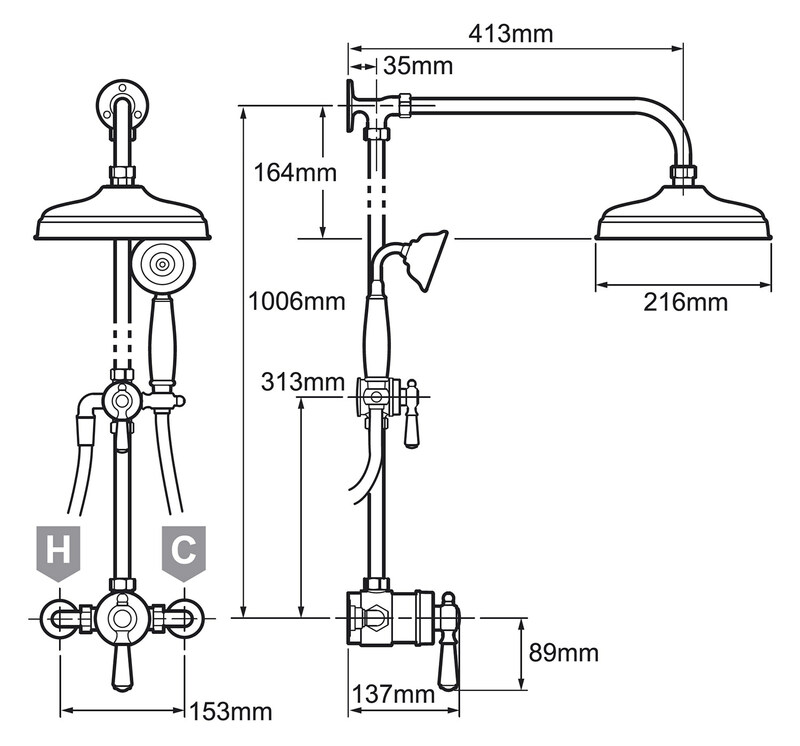 Mira Realms Thermostatic Shower Mixer ERD comes with a diverter and includes an exposed valve with rigid riser with a chrome finish. Whats more, it comes with a large deluge head for the most invigorating showering experience and Includes Magni-Flo technology that gives up to 3 times more flow than similar mixer showers even at low pressure. Operated by one, easy-to-use control for on-off and it is fitted with maximum temperature stop for increased safety. KIWA approved; it comes with five years guarantee from Mira against all manufacturing defects. I knew this shower system would be good but it has excelled my expectations, since it has been fitted to our extended shower room it really looks the business, I use it every day and it still look like new. 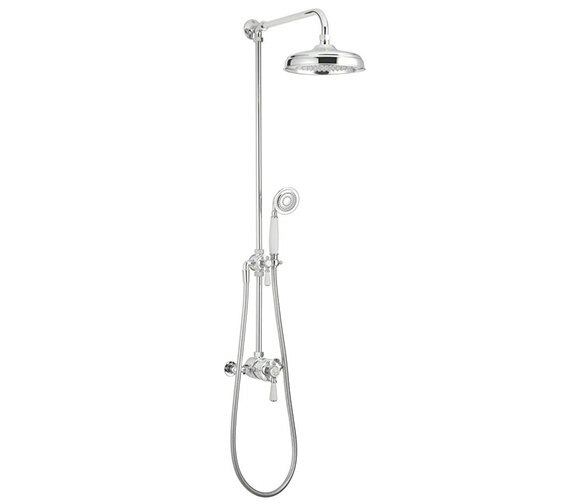 The main shower head flows just the right amount of water and the hand held shower gives that extra boost of water if required. 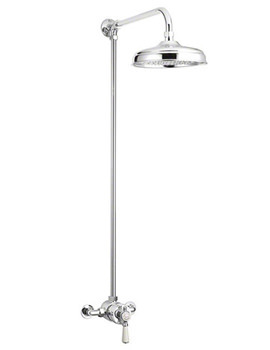 Family and friends have commented on how this shower unit looks like a quality product. When I tell them the price they cannot believe it. I would most certainly recommend this product. 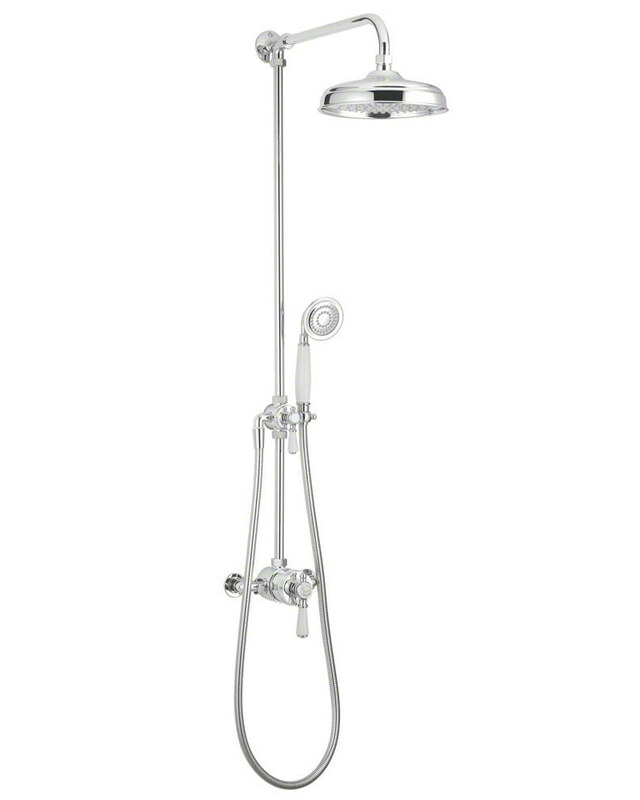 Could not have purchased a better shower, even our plumber complimented me on purchase of this shower. If we had to purchase a shower again we would most certainly go for Mira. After showering we always wipe the shower down and it comes up gleaming. I would most certainly recommend this product. Before ordering, please can you confirm that the following three items will fit together please? QS-V40661 - vanity unit QS-V6661 - Beo wash bowl QS-V19564 - Roper Rhodes taps I am concerned that the bowl is too big for the top of the unit and will cover the tap hole. Please advise by return. Thank you. Beo Lavobo vessels bowls measures 420mm that is of same measurement of basin shown with Imperial unit. So this bowl is suitable for the unit.